As far as I’m concerned, the xenomorph is the ultimate movie monster. Sure, you can point to the shark from Jaws, the T-rex from Jurassic Park, Godzilla, and countless others as contenders for the top spot, but to me, none of them come close to the horror and wonder of the creature that debuted almost 40 years ago in Ridley Scott’s Alien. That picture remains the pinnacle of hard-R sci-fi horror, and my memories of watching it are what make me look forward to the Alien films (in case you’re wondering, I do not count the Alien vs. Predator flicks). However, with the arrival of the immensely disappointing dud that is Alien: Covenant, I find myself fearing for the cinematic future of the xenomorph. This entry was posted in Movies on May 24, 2017 by Jun I. Like it or not, you can’t deny that the first Guardians of the Galaxy is lightning in a bottle. 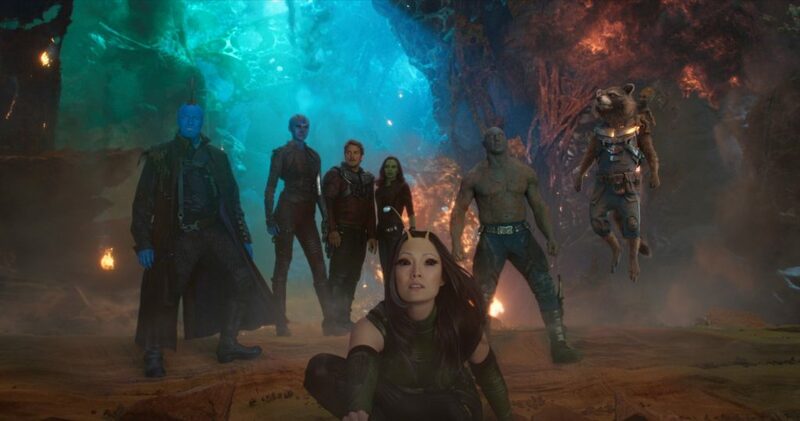 When I ask my peers what their favorite films in the MCU (Marvel Cinematic Universe) are, GotG tends to pop up quite often, and it’s easy to see why. There’s so much to like about it, from the lovable characters and the eclectic cast to the spirited soundtrack and the zaniness of it all, and they come together so brightly and confidently. The fact that it grossed over three-quarters of a billion dollars worldwide in its theatrical run is a testament to how well people responded to it. Considering that few people even knew about the Guardians of the Galaxy before the film came out, it’s nothing short of a rip-roaring and surprising success. This begs the question, can writer-director James Gunn top that with Guardians of the Galaxy Vol. 2? I’d say he has – he takes this beloved gang of misfits to stirring heights, resulting in a film that feels much more emotional and mature, all the while delivering upon its promise of fun. This entry was posted in Movies on May 10, 2017 by Jun I.